* The goal is to fight your way to the gate which travels you to the next level. * Monsters will try to stop you. 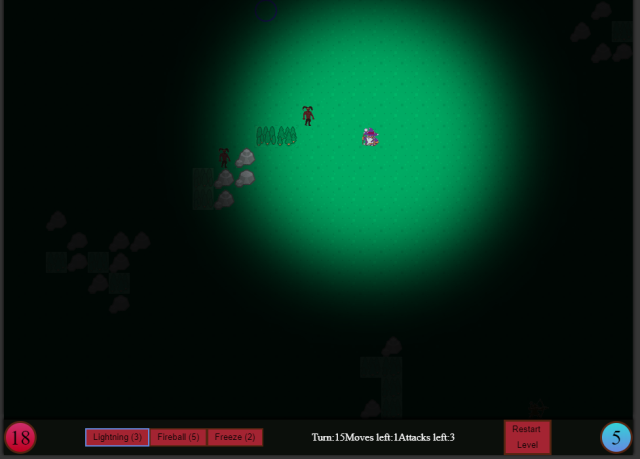 * Monsters and terrain are spawned randomly on each level. * You recover 1 mana, 3 attacks with sword and 3 moves every turn. * On every next level there is 20% more enemies. * Every enemy can move 3 times and attack once in evefy turn. * Every enemy attack in diffrent way and have diffrent stats. * If terrain will block your way, just restart level. The 20KB restriction killed me and this game. I just couldnt do more. I had to remove mobile support in order to squeeze it under 20KB. methods and selectors and finnally squeezed it exactly to 20 480 bytes.